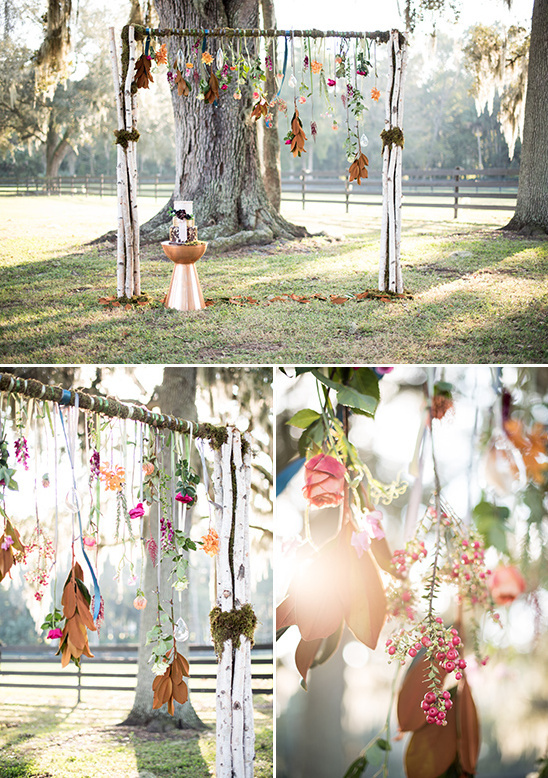 Though fall may be coming to an end, we just couldn't resist sharing this amazing fall themed shoot with you! 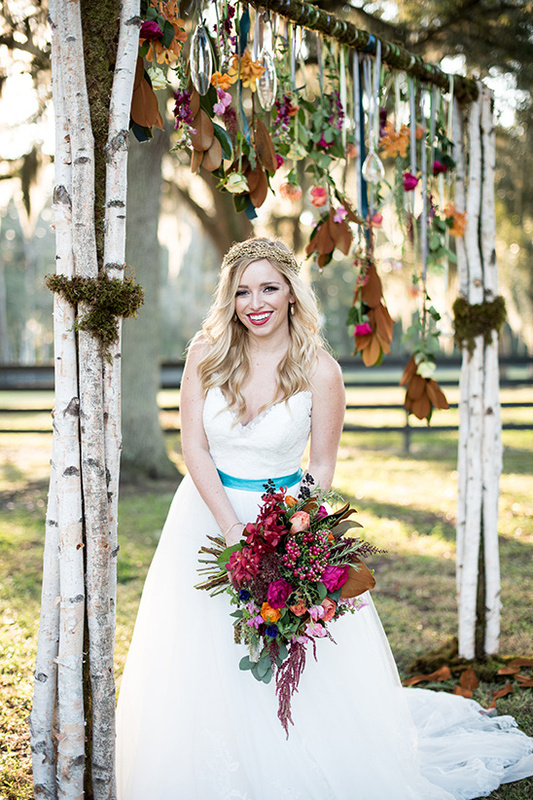 It's simply stunning from beginning to end with rich jewel-tones, lush fall florals and one of the prettiest birch wedding arches we've seen. 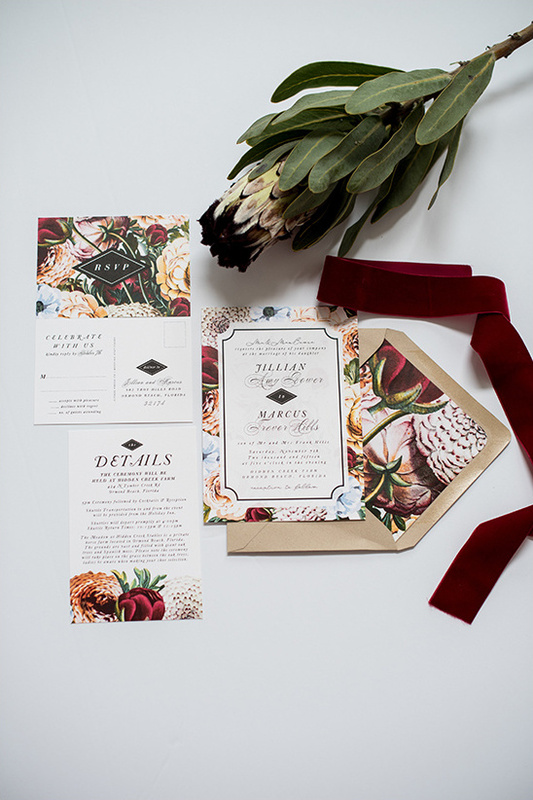 So don't miss any of these beautiful images from Leah Dorr Photography. 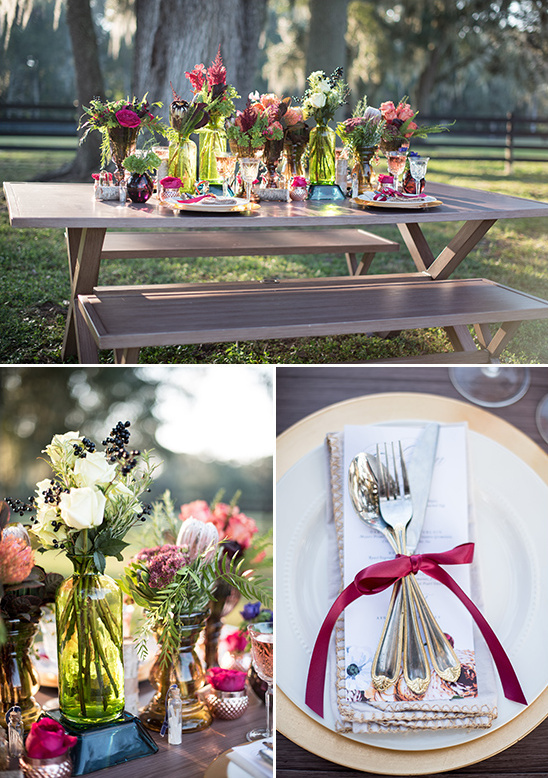 Head on over to the full gallery here for more incredible fall indie chic wedding ideas, you'll be glad you did! 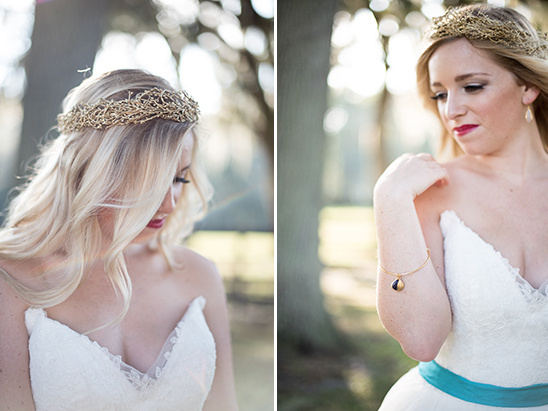 Our bride looked breathtaking in a gorgeous gown by Maggie Sottero. 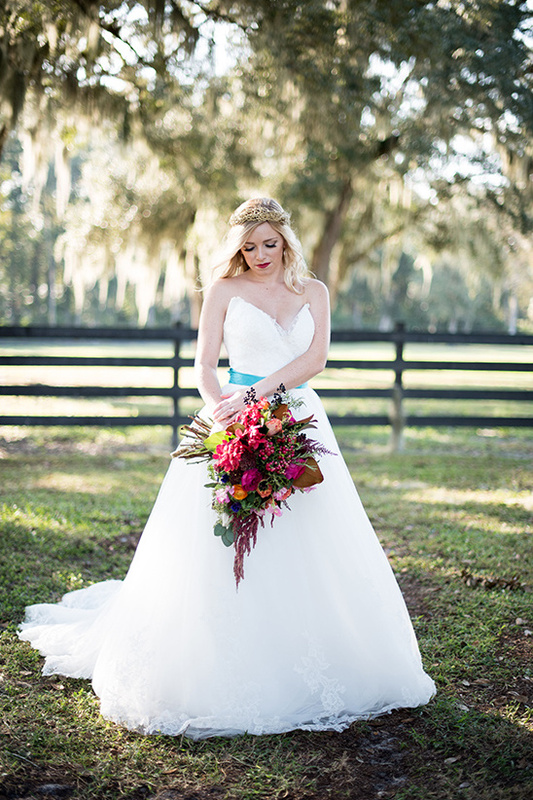 This beautiful ballgown with fitted bodice cascades into a romantic tulle skirt detailing the skirt with lace appliqués. 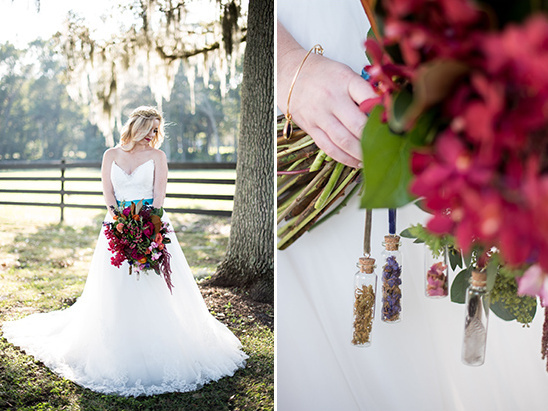 The gown was accented with a pop of color for the belt, which helped pull together the jeweled toned inspired theme. 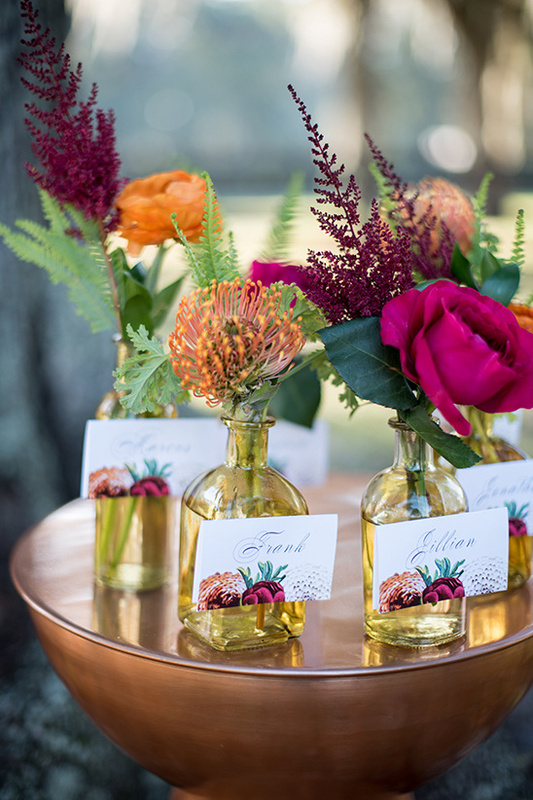 Emerald, golden yellow, merlot, rusty orange, copper, rose gold, deep blues, and bits of gold all made it easy to craft something stunning and deeply romantic on the bridal table. 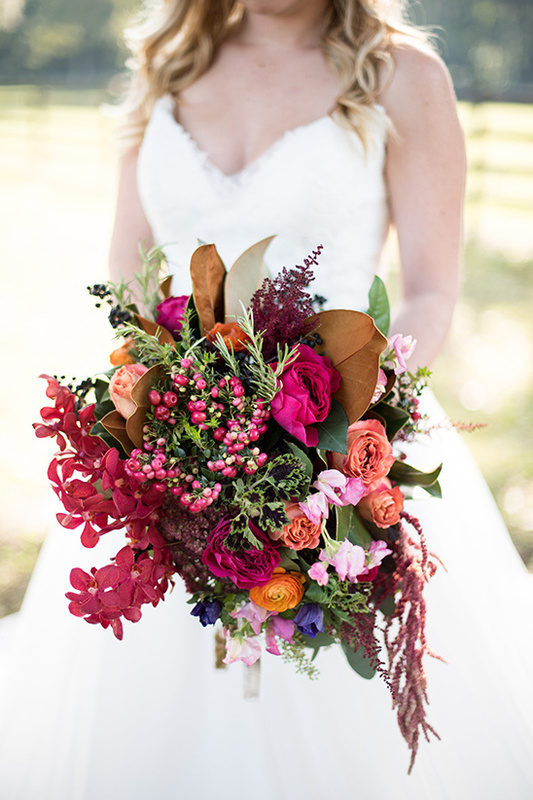 The florals by Ashlee Roberson of Simply Roses Florist captured the colors and essence of a warm, Florida fall perfectly in the most stunning arrangements. 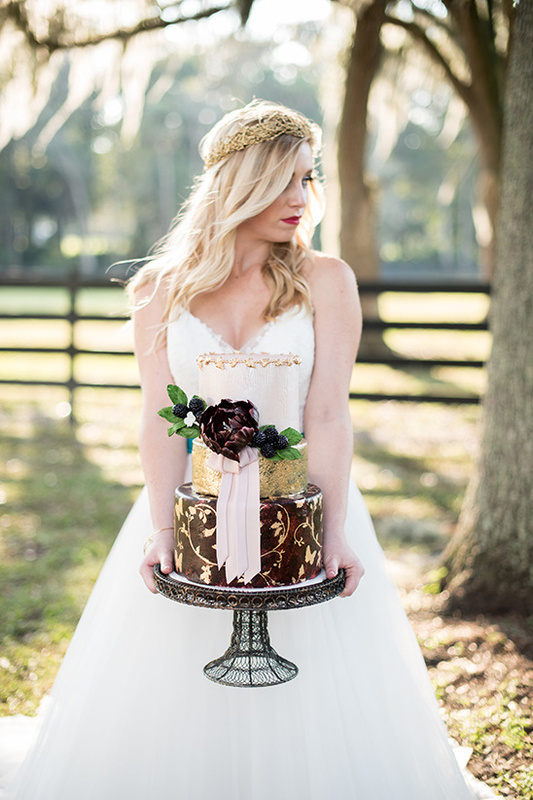 The unique and intricate cake was made by the very talented Kristen Erich of Bliss Pastry. 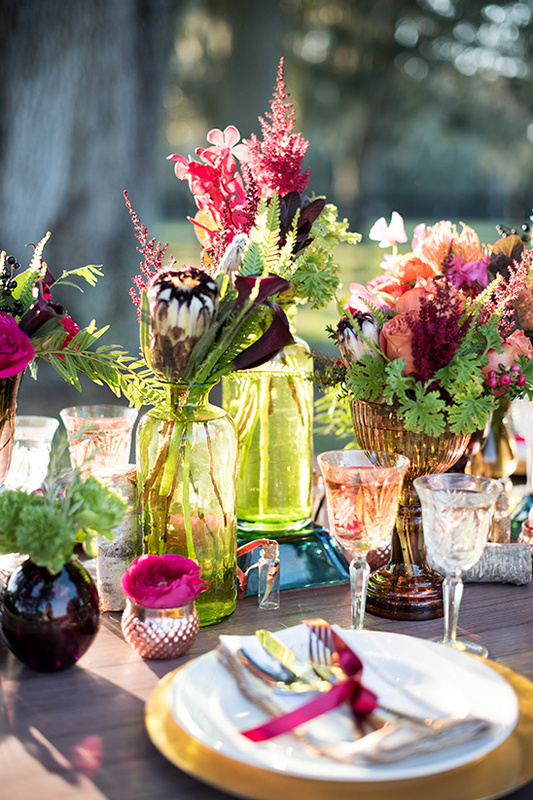 Inspired by the rich hues and magical sunlight and shadow of Florida fall, the design featured succulent blackberries, deep burgundy florals, and emerald leaves accented with gilded beads and vines. 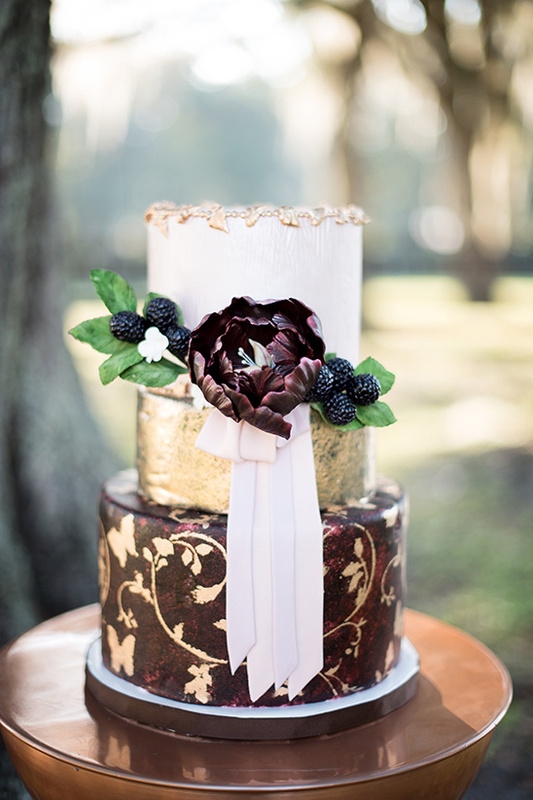 The multi textured wedding cake combined sugar florals, edible painting, golden stenciling, royal icing piping, embossing, and Bliss Pastry's signature crackle effect.